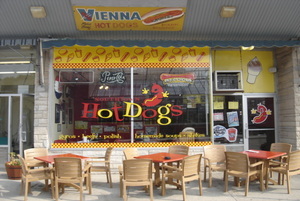 Every marketing campaign can benefit from the use of window graphics. This is because they give your professional office, storefront, or retail windows a one of a kind look that will be instantly recognizable to clients. You achieve a drastic increase in consumer interest and brand awareness when you combine your window decals with exterior signage, banners, vehicle wraps, and other advertising strategies. Thankfully, when it comes to window graphics in the Greater Orlando area, Citrus Sign Studio is your top sign shop. 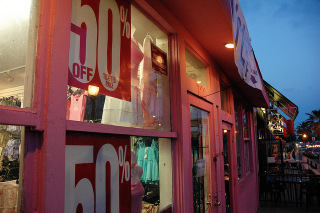 What Are the Best Uses for Window Graphics? Enterprises of all kinds can benefit from window decals. 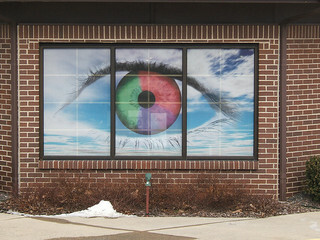 Whether you operate a professional office building in need of a sleek new appearance, a toy store that relies on sharp imagery to catch the eyes of parents and children, or a boutique seeking to advertise a big clearance sale, you would be hard pressed to find a more effective marketing option than window graphics. Window graphics come in vinyl adhesive and static cling varieties. When you have a promotion that requires temporary signage, static cling is ideal. If you want to obscure a window during construction, full vinyl window cling works terrific. For more long term campaigns, vinyl adhesive markers are the better alternative. Your image can be printed on the face or the back of the adhesive sign. In addition, the window graphics can be applied to the inside or outside of your window depending on your preferences and situation. Windows and glass doors are the ideal locations for cut vinyl lettering. When you want to advertise your hours of operation, lettering is the best option. Add your business’s name and logo as well. Our vinyl window lettering comes in an array of styles, such as matte, reflective, metallic, and neon vinyl. We can also produce any color you want. If you still want to be able to look out of your windows and let natural light in, you can still turn your storefront into a billboard with vinyl window perf. From our shop on West Sand Lake Road, Citrus Sign Studio is proud to serve all of the Greater Orlando area. For a free quote and consultation on window graphics for your business, contact us today!